GradeACasinos.com does not aim for any of the information contained on this website to be used for illegal activities. GradeACasinos.com is an independent gambling directory and information service providing most comprehensive experience and gambling expertise. GradeACasinos.com takes no legal responsibility for errors in these materials. GradeACasinos.com users, are responsible for determining if it is legal for them to play any particular games or place any particular wager. GradeACasinos.com does not guarantee the accuracy or fullness for any item contained within these materials. GradeACasinos.com will not be responsible for any damages, which may result from the use of these materials. The information on this site is subject to modify without notice and does not represent an obligation on the part of GradeACasinos.com in the future. 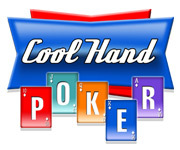 Unless identified with the label “Copy Freely”, the contents of this Web site, are copyrighted by GradeACasinos.com. In consideration of this authorization, GradeACasinos users agree, that any copy of these documents you make shall retain all copyright and other proprietary notices contained herein. GradeACasinos.com users, may not: copy, transmit or adjust information of this site in any way. Note that any product, process, or technology in this document may be the subject of other intellectual property rights reserved by GradeACasinos.com and may not be licensed here under. GradeACasinos.com tries to provide complete, accurate, and current information. If you should observe any imperfect or incorrect information, please use the contact form above to contact us. It is not permitted to include false or misleading information or otherwise incomplete claims. To submit a claim you must have provided the Casino with correct and complete information at the time of sign up. You hereby agree that you were 21 years of age or older at the time of completing any deposit or placing a wager at the mentioned Casino. To submit a complaint no charge backs can have been recorded for your player account. You agree that all credit card transactions have been processed using your registered name upon sign up. Furthermore to initiate the investigation of your claim you may be required to issue us with a faxback form. You agree that you have abided by the complete rules and regulations of the Casinos at which you have played. The claim on the dispute to which you are about to submit must either have been submitted within a 60 day time frame, or within 60 days of entering this program…. Complaints against online casinos can only be posted in Casino Complaints Section. Complaints against only online poker rooms, sportsbook, bingo, backgammon and other online gambling Companies can be posted in the adequate sections within this forum. Complaint Rules for Online Casino apply also for all other Complaints posted on this Forum. You accept, through your use of this Forum, that you will not post any material (Post, Link or Image) which is false, defamatory, inaccurate, abusive, vulgar, hateful, harassing, obscene, profane, sexually- oriented, threatening, discriminatory, invasive of a person’s privacy, adult material, or otherwise in violation of any International law. This includes all links: in your signature, profile, bookmarks as well as posted photos, and avatars. Strictly Forbidden: a) Posting the same message to more than one thread or topic section; b) Spamming, Flooding, Chain Letters, Pyramid Schemes, and Solicitations; c) Promotions, Advertisements or Bonuses; d) Mass Private Messages or Emails; e) Posts that could be considered insulting or offensive that can damage another’s business. Accusations without valid evidence will not be tolerated. Postings become the property of GradeACasinos.com when posted. Any copying and pasting of posts from this forum to others should be done with explicit permission or with discretion. Do not post copies of postings/threads from other forums unless you have explicit permission to do so. Please remember that we do not actively observe the posted messages, and as such, are not responsible for the content contained within. We do not warrant the accuracy, completeness, or usefulness of any information presented. The posted messages express the views of the author only. Anyone who feels that a posted message is offensive can notify an administrator or moderator of this forum immediately. You remain solely responsible for the content of your posted messages. GradeACasinos.com reserves the right to reveal your identity (or any other related information collected on this service) in the event of a formal complaint or legal action arising from any situation caused by your use of this Forum. GradeACasinos.com does not intend for any of the information contained on this website to be used for illegal purposes. You must ensure you meet all age and other regulatory requirements before entering an online gambling site. Online gambling is illegal in many jurisdictions and users should consult legal counsel regarding the legal status of online gambling and gaming in their jurisdictions. The information in this site is for news and entertainment purposes only. GradeACasinos.com is an independent information service, not associated with any online gambling company. Links to third party websites on GradeACasinos.com are provided solely for your convenience. If you use these links, you leave this Website. GradeACasinos moderators reserve the right to remove, edit, move or close any thread or post for any reason without any prior notice. It is highly recommend you use a complex and unique password for your account, to prevent account abuse. If you agree to the terms, please check the ‘I agree’ checkbox and press the ‘Register’ button below. It is not possible for us to advise accurately about the laws and jurisdictions of your region. We strongly recommend that you check with your local authorities for correct information on this matter. Please note that GradeACasinos do not have affiliation with any Casino, Poker or Sportsbook or eWallet and we will not approve of illegal internet activity in any form. Is it illegal to gamble online in my state? If you reside in the following states we would advise against online gambling: Illinois, Indiana, Kentucky, Louisiana, Nevada, Oregon, South Dakota, Washington, Michigan, New York, New Jersey and Wisconsin.